Thousands of children around the world are using cannabis as a medical alternative to debilitating or ineffective prescriptions, but they may not see many representations of themselves in popular culture. Given media rhetoric about protecting children by keeping them away from cannabis, these children may struggle with social stigma and concerns that their medicine is bad. 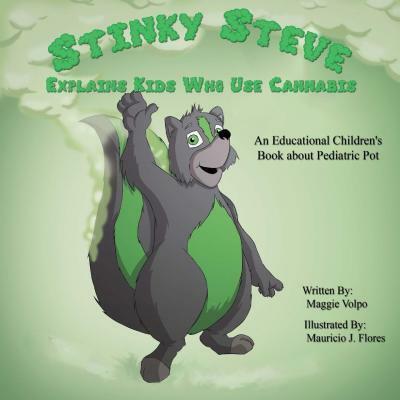 Stinky Steve is here to help parents, guardians, and other grown-ups talk to kids about why their loved ones and doctor have chosen medical cannabis as a medicine. Especially for children with severe medical conditions, understanding their medicine and the need for discretion is very important. Stinky Steve is here to help families talk about why cannabis can be a good medicine for children and how to be safe when it's part of their life.